Since the 1960s I’ve been hearing stories about what a great tenor sax player Von Freeman is; how he influenced guys like Johnny Griffin, John Gilmore and Clifford Jordan; how his stature equaled that of Gene Ammons. But there weren’t any records around containing Freeman’s playing during the 1940s and 1950s-or so I thought. He didn’t cut an album under his own name until 1972, when he was 50-Doin’ It Right Now (Atlantic, recently reissued by Koch). It’s an impressive one, admittedly, and demonstrates that he was an advanced thinker, especially for his age, and that he might’ve been among the most innovative bop and postbop tenormen. 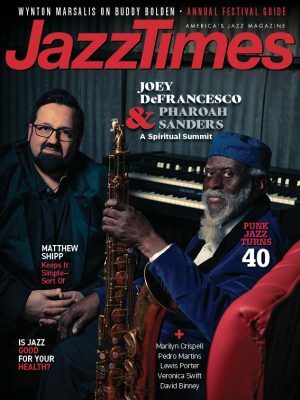 But it was also possible that he’d picked up ideas popularized by Sonny Rollins and John Coltrane rather than anticipating them or being a parallel figure. Was there any proof, either way? After searching all over the place I found that producer Chuck Nessa, who’d recorded Freeman, had a copy of the material, which he kindly put on cassette for me. Von doesn’t have a lot of solo room on the two titles, but it’s enough to convince me that he was one of the most original and creative tenormen of the 1950s and, in light of other work I’ve heard by him, a great tenor player by any standards. As a teen Freeman was already playing with Horace Henderson’s band, Fletcher’s brother and a gifted pianist and writer himself, in 1940 and 1941, but spent 1941 through 1945 in the Navy. After returning to Chicago, he often led the house band at the Pershing Hotel, accompanying visiting stars like Charlie Parker and Lester Young. The Hill selections prove that Freeman was an outstanding, original and forward-looking postbop tenorman who, by the mid-1950s, if not earlier, was evolving along his own lines and employing ideas that were similar to those used by Coltrane and Rollins-and doing it independently of them. During the 1950s and ’60s Freeman worked in R&B and pop as well as jazz contexts, but there’s not enough of his jazz work around to draw conclusions about his evolution. But Freeman’s playing on brother George’s 1969 Delmark album, Birth Sign, and on “Billie’s Bounce,” from Charlie Parker Memorial Concert (Chess), a two-LP set, deserves much praise and is consistent with his 1956 work with some evolution. On “Hoss,” which is based on the chord changes of “Sweet Georgia Brown,” Von gets some room to stretch out, and builds powerfully; he displays tough lyricism on “My Ship” and “My Scenery.” Von’s 1969 and 1970 playing is thorny and more angular than ever. His style was still evolving, and would continue to do so. Von finally got a chance to cut his own album, Doin’ It Right Now, due to the efforts of Rahsaan Roland Kirk. “Rahsaan Roland Kirk had met me when he was a kid. He said I influenced him and he hung around Chicago and said, ‘You got all these guys here playing like you.’ He said to me, ‘If I ever make it I’m going to record you.’ And he came through. Later he heard me and asked what bass and drum players I wanted and I mentioned Sam Jones and Jimmy Cobb. He went straight to the phone and called.” Jones and Cobb appear on the recording, along with his old associate John Young, who, on air shots with Andy Kirk, was among the first pianists to exhibit bop characteristics. Freeman pours ideas out of his horn on Doin’ It Right Now. He swings powerfully and exhibits excellent chops, playing many-note runs that are his own version of “sheets of sound.” His explosive bursts of notes indicate that he may have been a strong influence on Griffin. His work on “Lost in a Fog,” which Hawkins had cut in 1934, is excellent; his huge tone, complex arpeggios and overall robustness recall the work of the older tenorman. On “The First Time Ever I Saw Your Face,” he performs with tenderness and sensitivity. Those who haven’t heard Freeman’s playing should listen to this CD first, because it demonstrates the full range of his abilities and is accessible to fans who have difficulty with experimental music. Since 1978 record producers have thought it was a great idea to hook up Freeman with other tenormen in a sort of battle of the tenors context. He’s recorded with Willis Jackson (32 Jazz), Clifford Jordan (Beehive), Teddy Edwards and Buck Hill (Timeless), Yusef Lateef (YAL), Ed Peterson (Delmark) and his son Chico (India Navigation, Black Saint, Half Note, Columbia). What these producers don’t realize is that Freeman’s far more modern than guys from his generation or even younger, so that putting him in the same band with a guy like Jackson, who often plays R&B, doesn’t make a lot of sense. More interesting are his collaborations with Chicago altoman Steve Coleman on DIW and Novus. Freeman’s appeared more on Southport than any other label, and in more varied settings: he’s collaborated with the fine vocalists Joanie Pallato, April Aloisio and Martha Lorin; worked on a couple of CDs with George, playing piano on Rebellion; and made an excellent quartet disc, Walkin’ Tough. Freeman’s inspired a number of Chicago free players, and can be heard playing free himself on Fire, with Southport founder, producer, pianist Bradley Parker-Sparrow. “I had always [played free], even before I met Sun Ra,” reveals Freeman. He says he did free improvisation in Chicago clubs as a young guy playing unaccompanied. In 1992 and 1993 Von played on four SteepleChase CDs with pianist Jodie Christian, bassist Eddie DeHaas and Campbell. He’s a leader on three and a sideman with trumpeter/flugelhornist Louis Smith on another. Despite being standards-based, these are very substantive sessions. SteepleChase also plans to issue a series of live early-to-mid 1990s Freeman performances recorded by the gifted trumpeter Brad Goode, who played for years with him. The performances are scintillating, in the top echelon of Freeman’s recorded material. Out now is a very good Delmark CD, You Talkin’ to Me? !, with another two-tenor frontline, Von and Frank Catalano. Cut recently, it demonstrates that Freeman, in his late 70s, has lost nothing that he had when he was 35-and has added plenty. People that heard Von in the ’40s and ’50s talk about him in terms of guys like Sonny Stitt and Dexter Gordon. He was in their class and stylistically somewhat similar at that time. 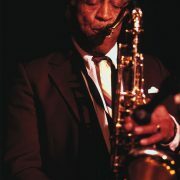 Stitt, who’s not generous with his praise, said, “[Freeman’s] music is warm, soulful, his technique is superb… Give a listen to this great saxophonist.” Freeman, however, kept evolving for far longer than Stitt and Gordon and currently is a far more modern stylist, whose playing since 1975 is generally better understood and appreciated by today’s young avant-garde stylists than most people in their 60s and 70s. Freeman still plays gigs around Chicago and leads jam sessions, where he’s a strong influence. An exceptional artist, he belongs in jazz’s pantheon. Selmer Super Action 80 tenor sax. Reeds: Rico #3 or a Van Doren #3. Mouthpiece: Link 11 Star.